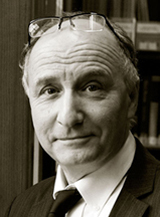 John Willinsky is Professor in Publishing Studies at SFU, where he directs the Public Knowledge Project (PKP), which conducts research and develops open source scholarly publishing software; he is also Khosla Family Professor of Education and Director of the Program in Science, Technology, and Society at Stanford University. A member of the Royal Society of Canada, his books include the “Empire of Words: The Reign of the OED” (Princeton, 1994); “Learning to Divide the World: Education at Empire’s End” (Minnesota, 1998); “Technologies of Knowing” (Beacon 2000); and “The Access Principle: The Case for Open Access to Research and Scholarship” (MIT Press, 2006). Part-time position, in partnership with Public Knowledge Project. In 2016, John Willinsky was honoured with a SSHRC Impact Award for his work with the Public Knowledge Project.